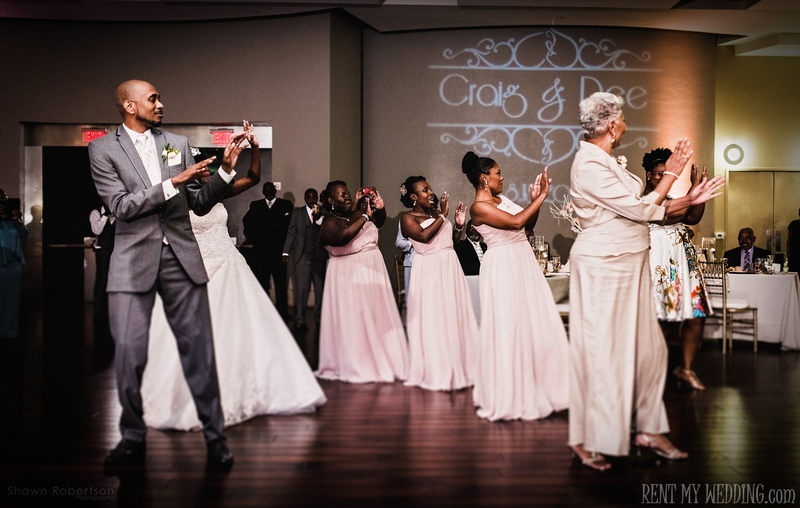 Our gorgeous DIY romantic couple, Craig and Dee, wedded on August 15, 2015. It was a beautiful wedding to remember! 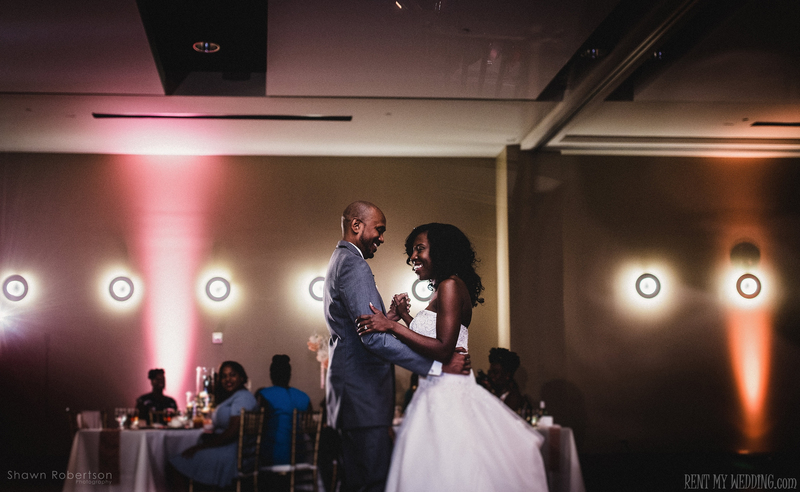 This classic wedding had gorgeous accents throughout the ceremony and reception. 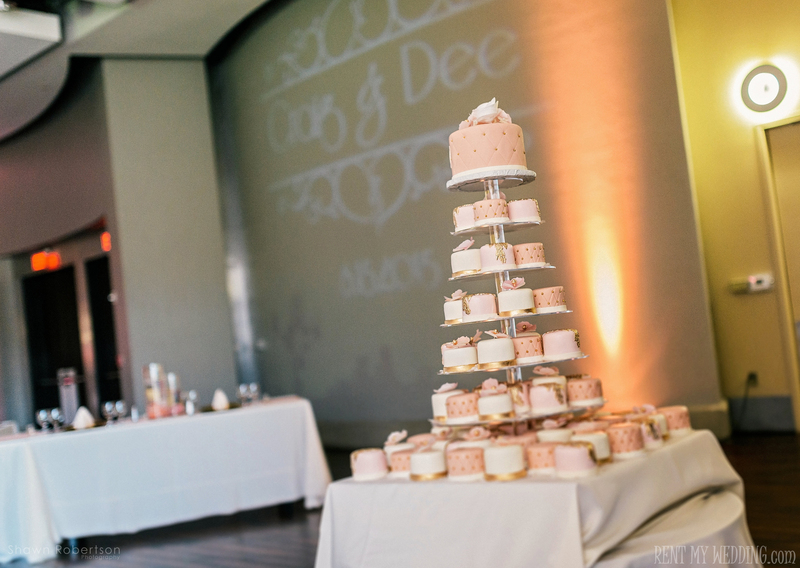 The walls of the reception hall were softly highlighted using blush peach and pink uplighting. 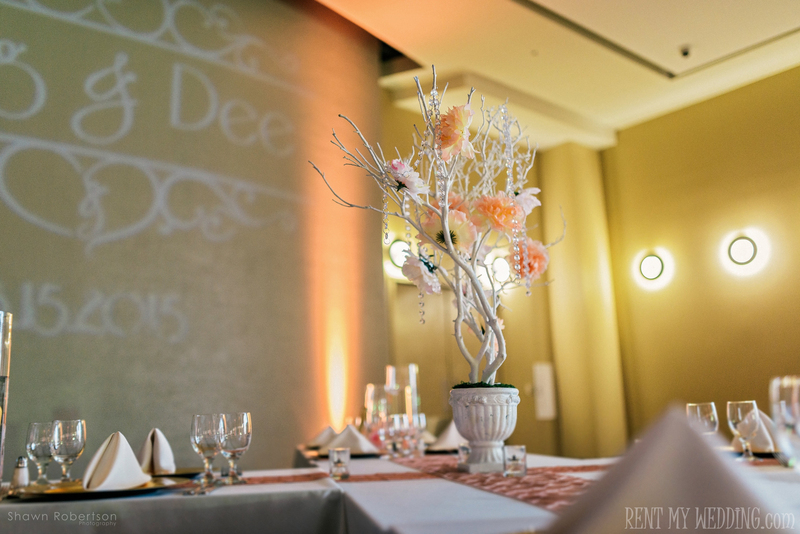 Their white personalized monogram gobo light read: Craig & Dee, 8.15.2015. 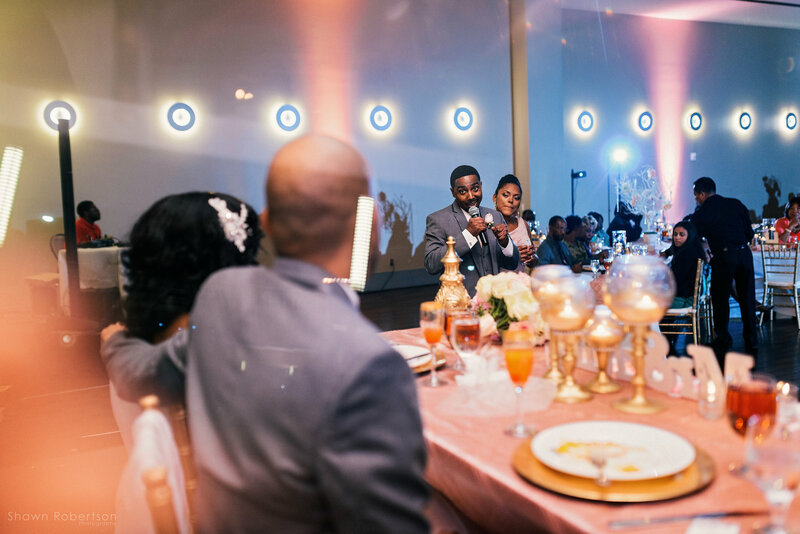 The gobo was the perfect touch to add to this fairy-tale wedding. The couple’s pastel pink cake also added a charming feel to the soft pops of pink that adorned the reception hall and ceremony. Everything about this wedding tied together perfectly! Congrats to our lovely newlyweds! Next Next post: 3 Ideas for an Amazing Holiday Party!